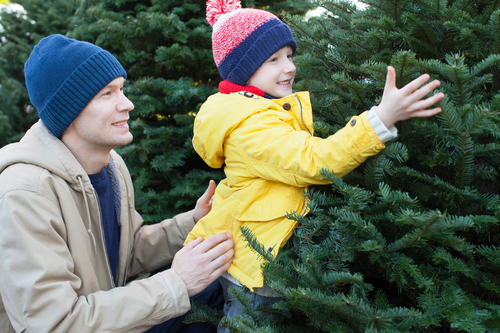 For many families, searching for the perfect Christmas tree is a holiday tradition. The team at Dundee Nursery has the best selection of trees in the Minneapolis, MN, area, so you can enjoy festive greenery throughout the season. This garden center and nursery’s locations in Plymouth and Hutchinson are known for their diverse array of lush, healthy holiday plants. Variety: This garden store offers a wide selection of attractive Christmas trees. Customers can choose from several species including Fraser fir, a variety recognized for its needle retention; white pine, which is famous for its blue-green color and light aroma; vibrant green Scotch pines; and balsam, which are up to 12 feet in height and will call attention to homes with cathedral-style ceilings. Dundee is one of the few places that does tree flocking. This white foam material creates the illusion of real snow for a magical look and locks in moisture, so the tree remains intact preventing premature needle loss. Convenience: Choosing the right tree can be a difficult task, but the staff at Dundee Nursery has found a unique way to make it easier. They hang the trees on hooks in the greenhouse, so they are on full display. Plus its out of the wind and cold making the shopping experience very pleasurable. Preservation Treatment: Your Christmas tree should last for the entire holiday season, but water loss can shorten its life span. We will provide a fresh cut before loading your tree. Watering soon after is highly recommended. To learn more about the trees and other holiday plants and flowers available at Dundee Nursery, call their Plymouth location at (763) 559-4004 and the Hutchinson facility at (320) 587-4664. The staff members at both shops are more than happy to provide plant care tips to protect your yard from winter weather. You can also visit the garden center and nursery online to search their inventory and like them on Facebook to see pictures of the greenhouse.